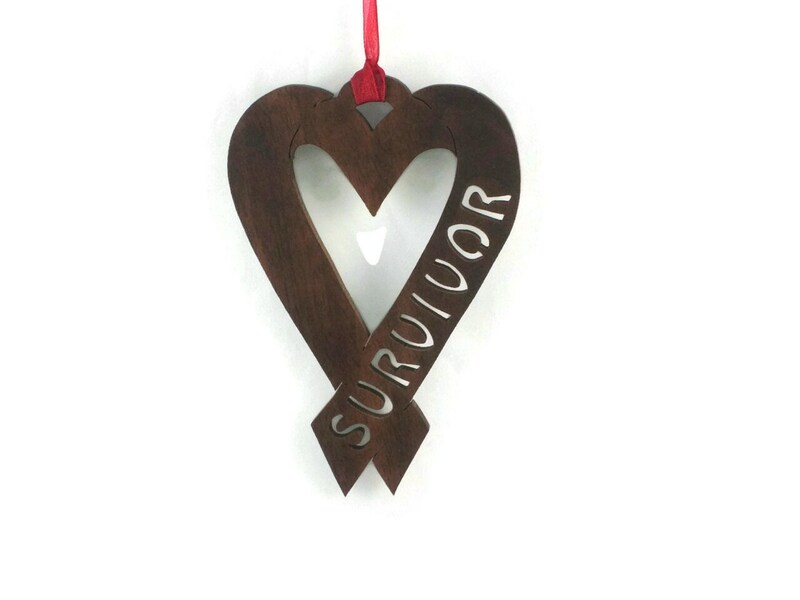 Are you or someone you know a heart disease survivor? 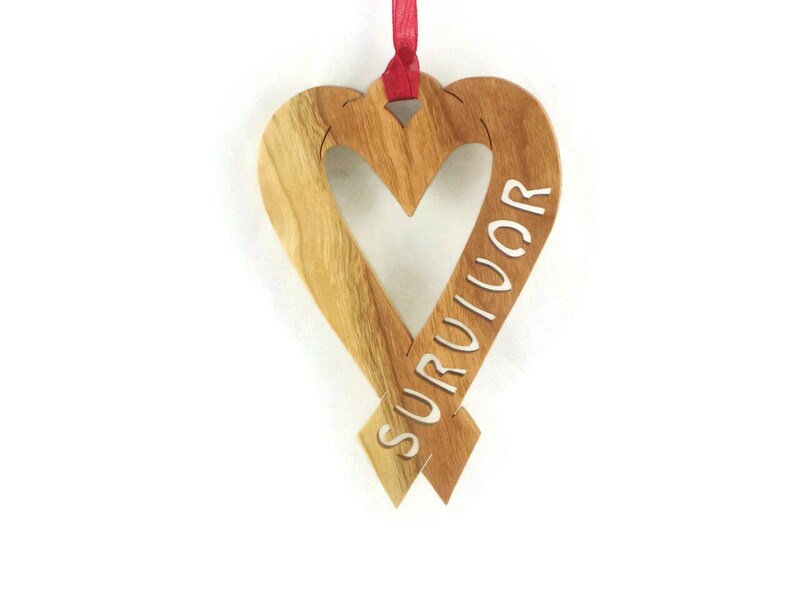 This is a perfect give to give yourself or a friend to celebrate your defeat. 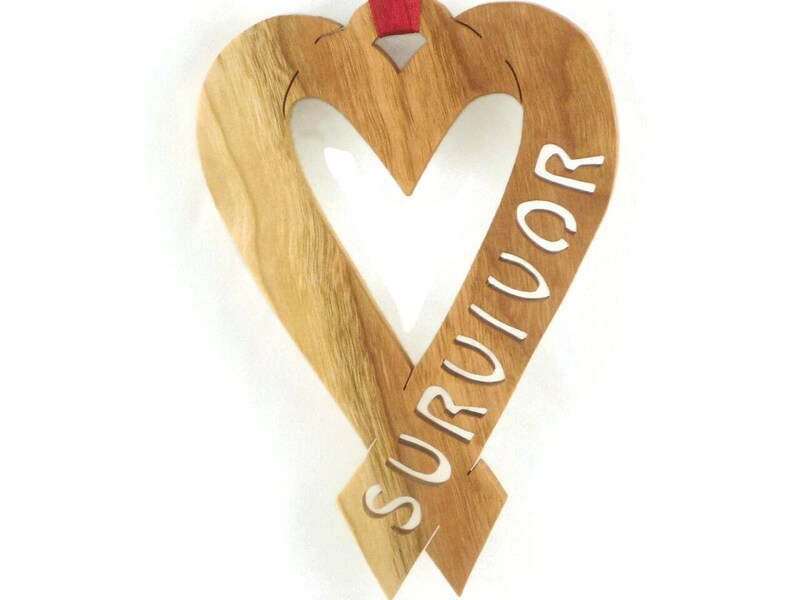 This heart disease survivor ribbon was cut out by hand ( handmade ) using a scroll saw. There are three material choices here available first 2 pictures are made from Cherry wood, second 2 pictures are made from Walnut wood, and the last picture is made from Poplar wood.. 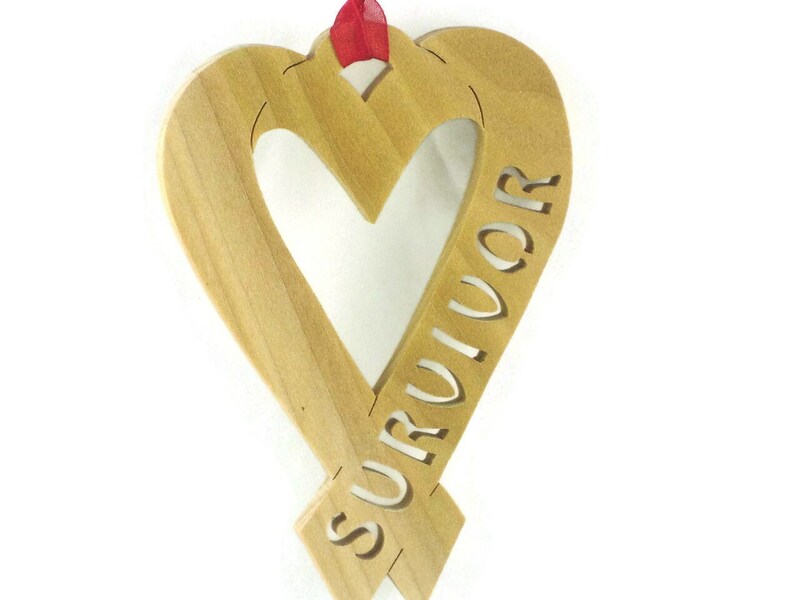 This heart disease survivor ribbon features a heart shaped ribbon with the word survivor cut out in the ribbon. 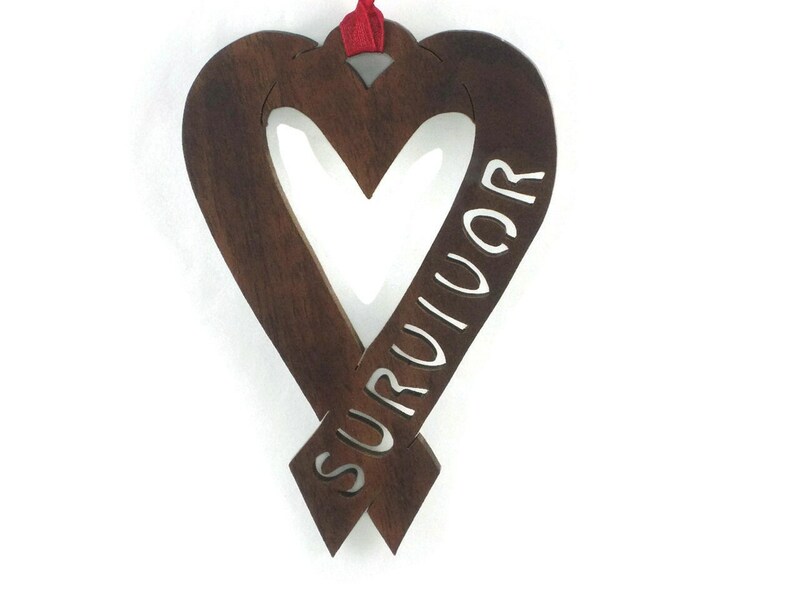 A red fabric ribbon was added for ease of hanging this on your Christmas tree. A natural color Danish oil finish was applied to bring out the natural beauty of the wood as well as to protect its natural beauty for many years of enjoyment.